Parking spots. They’ve incited fist fights, divided neighbors, and even brought controversy to the corners of the Monopoly board. And they’re also the first impression guests will have of your event. Preparing a safe, sufficient, and convenient parking arrangement for your event requires a bit of time, forethought, and consideration. Location, location, location. Yes, the laws of real estate apply to your parking plans as well. Factor #1 in your search for event parking is finding a lot or garage that’s within close proximity to your space. And simply looking at an online map isn’t enough. If your event space only has an entrance on one side of the building, and the parking structure sends pedestrians in the other direction, your “one block away” assumption could actually be more like three or four. Have someone visit the event location in person and make the walk from a parking spot to your grand entrance before committing. Next, consider the weather. “When shopping for event parking, you should look for a space that has an attached walkway so guests don’t have to worry about the elements,” says VP of Event Management Lance Salisbury. How will your guests fare if the blue skies turn gray? Ideally, your parking situation will offer a covered pathway to your space. If it doesn’t, it wouldn’t hurt to have some umbrellas on hand just in case. We’ve all been there: making laps in a parking lot, raising our eyebrows at the slightest glimmer of a parked car’s brake lights, and thinking to ourselves, “Don’t they want me to be able to be able to park and come inside?” An insufficient amount of parking is a problem that can occur for a few different reasons. The biggest risk: blindly assuming that public parking will be available. A recently touted happy hour menu, construction on other streets, or even a concert blocks away could scrap your free parking plans without warning. The best insurance plan against this risk is private parking. A rented lot will be waiting for your guests no matter how many people show up for Cher’s last, last, last farewell tour. The other factor? Wiggle room. A parking garage made for precisely the number of cars you expect could very well have a spot for your final guest, but if it takes them 25 minutes to find it, they won’t be thanking you for it. Look for a lot with more spaces you need, not less or just enough. “Parking logistics are just as important as event logistics,” explains Event Manager Eddy Willingham. “Careful coordination of parking entrance and exit flow is essential.” What does this mean? Make a plan, and give that plan a test run. Be aware of the impact of traffic during your scheduled guest arrival time. If heavy traffic is expected, considering hiring a police officer to manage the flow of traffic around your parking area. 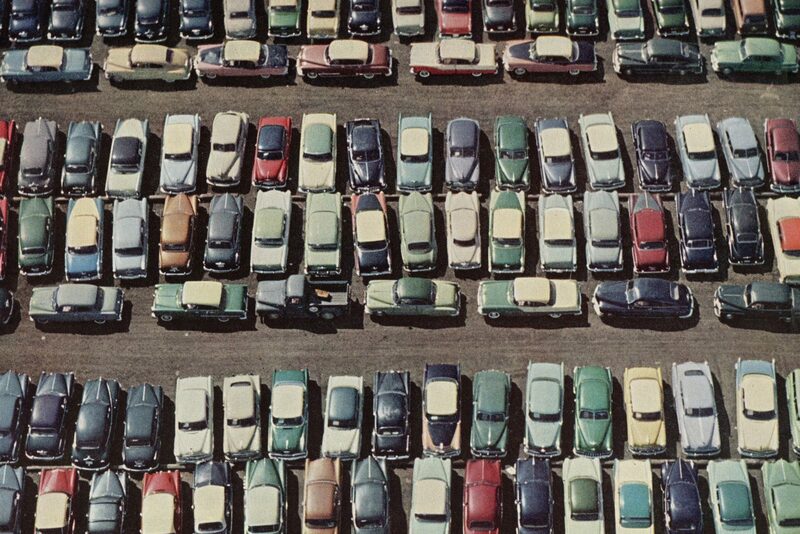 Before you jump at a good deal on a parking lot, consider its safety. No amount of free food will overcome a guest’s dismay at a broken-in car, or worse yet, personal harm. If security isn’t already included in the price of the lot rental, find a security company that can patrol the area and watch for prowling vandals. Your guests will feel more secure, and you’ll reduce the likelihood of being held liable for damage to property. If cost is a concern to both the hosting company and its guests, one scrappy (but riskier) option is to look for a public parking area that has free spots during certain hours. Have guests park in the public lot, then offer a shuttle from their cars to the event. The shuttle will come with its own costs, but the arrangement could shave thousands of dollars off the price of a fancy garage. Then cross your fingers and hope that no one else had the same idea! If all else fails—if the private lots are booked, security is iffy, or the closest parking is on the other side of an alligator-filled moat, there’s always valet. Valet parking eliminates many of the concerns above, but also presents a few new challenges.